US Navy Lieutenant Junior Grade George Bush is rescued off the island of Chichi Jima, September 2, 1944. No matter what he deserved respect. I have much respect for this president. I have a different opinion on many things but he was respectable and decent on many facets. He lived a long comfortable life. Rest in peace. He was a decent guy and the one of major factors that he did not get elected was because he did believe in comprise in an effort to get things done, and for that he pay the political price by getting challenged far right split in the republican party. Thanks to the ridiculous backlash to Bush compromising with democrats to raise taxes after his "read my lips" pledge it would now take $4000 from every person in the world to pay off our national debt. wwjd Wrote: He was a decent guy and the one of major factors that he did not get elected was because he did believe in comprise in an effort to get things done, and for that he pay the political price by getting challenged far right split in the republican party. Yes, he was a decent guy and had manners; the present "guy" can learn a lot from the "old" Bush. However also it depends with whom you surround yourself. Bush had also some bad apples in his tenure. The present "idiot" has nothing but bad apples (read: dumb greedy "fanatics") in his surroundings, including his own family; all of them without feelings or manners. Well, he did save our beloved Saudi's from being invaded, you know, the ones in charge of that country that murdered a journalist and harbored/originated some 9/11 terrorists, who knows what might have happened if Saddam had control over Saudi oil, we might be paying 10 bucks a gallon for gasoline right now. Then there were other scandals he had a hand in, so he wasn't that great of a one term wonder. "President George H. W. Bush (R) denied any knowledge of the Iran–Contra affair during his election campaign by saying he was "out of the loop". His own diaries of that time, though, stated "I'm one of the few people that know fully the details ..." He repeatedly refused to disclose this to investigators during the investigation and thus won the election"
Bush headed the CIA when the CIA was a virtually unhampered soveriegn agency. He was president when Russia dissolved. I wrote him a letter asking him not to downsize the military but to divert it to humanitarian projects. I didnt have much hope for a humanitarian Armsd Forced and I wasn't disappointed. He was the last of the Greatest Generation and was a great example. It was very obvious at Bush's funeral that Trump has no business being president. Although he was not criticized directly, Hillary's failure to even look in his direction, and Brian Mulroney's defense of Bush's accomplishments that Trump is undoing, spoke volumes about his character. The eulogy brought a tear to my eye's. Real people feeling pain and sharing sorrow. I can support all the eulogies and such for George H.W. Bush as it highlights the sharp contrast between the style and conduct of the old Republican Party versus the new Trump Party. However, we should not lose sight of the fact that GHWB was far from a perfect president, nor was his predecessor, Ronald Reagan. Republicans have a great skill for canonizing their past presidents such that we gloss over all their faults. Now we have "Saint Ronald" soon to be followed by "Saint George" as history is being rewritten before our eyes. I, for one, do not remember GHWB's presidency the way it is being portrayed in the media, particularly MSNBC's pundit's gushing over him. David Greenberg's article in Politico, Is History Being Too Kind to George H.W. Bush? highlights many of GHWB's misdeeds that I remember. Greenberg provides a list of GHWB's "transgressions" that should raise eyebrows by anyone. In particular, his pardoning of the Iran-Contra defendants conveniently stopped any investigations into his own role in the illegal activity. If GHWB can do it without repercussions, then Donald Trump and Pence are sure to do the same. Republicans are ruthless, and GHWB is no different if one digs a bit deeper. 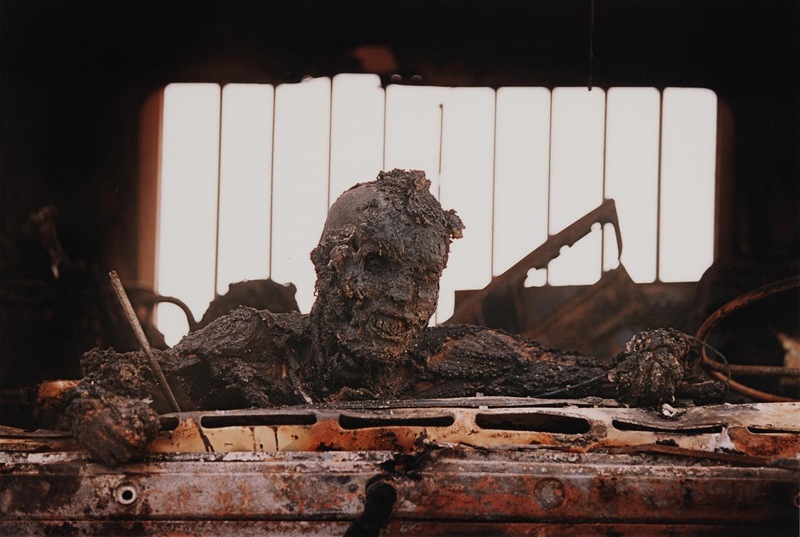 For those of you who remember the many gruesome photos of Iraqi soldiers picked off like a turkey shoot on the "Highway of Death", this one has always stuck in my mind. More sickening was the gleeful attitude to these photos expressed by many of my fellow Americans at the time. These are not shown in the memorialization of GHWB. A kinder and gentler nation + a thousand points of light quotes are stunners. Not sure, but I think the lyrics of the late Neil Young touched upon these quotes in one of his songs. The highway of death is most memorable for I, it didn't have to happen. Trump has been unusually well behaved over that past few days as Bush's body makes it way to his final resting place. However, in the past when Trump has been usually silent, it just an indication that pressure is building up towards a major blowup of some kind. Families of abusive a father\husband, know the pattern. He is keeping the tension inside then explodes over trivial BS, and the entire family pays for it. A funeral or other public gathering is a perfect example too, the man in question hates being there and for him every minute feels like an hour, and by the time the family gets home he is about to explode, and always does. The kids, the wife, and family pets all feel his wrath once the front door closes. .... The next Trump storm is coming in a few days, and its going to be pretty bad, and it all because a dead president was the center of attention for a few days, and Trump was force to behave himself and remain out of the spotlight. Yes, Trump's antics have been subdued. Instead of going to Mar-a-Lago this weekend to brood and Tweet, he'll be going to the Army-Navy football game on Saturday. I suppose the cameras will be on him, but I expect he'll get a warm applause from the military members in attendance. That's therapy for him. Dockadams -- Thanks for sharing the links to both the analysis of the lyrics of Neil Young's song, Rockin' in the Free World and the Not My Empire blog article, A Kinder, Gentler Machine Gun Hand: The Hauntology Of George H. W. Bush. I read both articles as I listened to Young's song on YouTube, and they brought back long forgotten memories. I would encourage everyone who is drinking the Love Bush forever Kool-Aide to especially read the Not My Empire article. It covers aspects of the real history of GHWB that is currently being purged from our memories, mine included.